Historians have long revered and relied upon written documents to construct a narrative account of an event, a time, a people. They stand as authoritative evidence because they can be consulted, circulated, compared with, and corroborated by other written sources. Through mining textual evidence, historians invoke cultural worlds and open windows onto history. Yet how might one gain access to areas of the past where few documents exist? What if all the documents are written by—and from the perspective of—conquerors rather than by the people whose history you want to tell? Is it possible to use more eclectic forms of evidence? These are questions that historians confront when their use of documents is thwarted by the near absence of appropriate records. Objects, landscapes, orally transmitted stories and songs can complement written records and bring different voices into historical narratives. A way into the void is to look for history by exploring many diverse kinds of objects and evidential forms, including but not limited to, written records. Things people make, landscapes they live in, stories and songs they pass on orally to later generations, even words they use—all of these can provide evidence of the worlds of the past. Despite the fragmented nature of such evidence and despite the bias of what has survived, we can use such materials along with written records to conjure the past. Culturally expressive forms—both cultural practices and material objects—can complement written records, offering perspectives lost in the records themselves. To use various forms of evidence moves our stories of the past from the words of those with control over the written word to larger spheres in which more kinds of people participated. Cultural history goes across disciplines and beyond written documents to study objects, language, practices, relationships, etc.We often signal such larger spheres by speaking of culture. Literary scholar Raymond Williams explains, “Culture is ordinary.” Culture, Williams continues, is “a whole way of life.”2 This remarkably simple definition, through its breadth, provides a point of departure in our search for vestiges of the past. “Cultural history” has weaned historians from their dependence on the perspectives of the archive to expand what might count as historical evidence. In the search for cultures of the past, historians gather fragments of evidence—oral narratives, material objects, and traces of embodied practices that involve language, food cultivation, forest use, building, making, sacralizing, and forming relationships of all sorts. These shreds and shards extend what can be told about the past and enlarge the circle of historical subjects who we recognize as integral in making the past. A second step, however, is to work from these eclectic source materials to ask about the forms of coherence that might have tied these shreds and shards together. What social practices, meanings, and values are associated with the fragments we find today? Working across methods from anthropology and history, cultural historians have assembled the shards to explore the “whole way of life” of people in the past. This requires reconstructing the structure of social constraints and opportunities to consider how the “stuff” people left behind—whether documents or otherwise—was actually used. To understand the lives of Africans brought to the Americas as slaves, we must go beyond written records.The puzzles and challenges of cultural history have been particularly evident to scholars committed to investigate the life worlds and perspectives of the Africans who were brought to the Americas against their will within the institution of slavery. Enslaved Africans had very little ability to keep their own written records. There are documents about them, but they do not reflect the perspectives of the enslaved, and the written documents often obscure and erase the very things that may have been most important in their lives—their relationships, their skills, their forms of knowledge, their hopes and dreams. Under slave society, slaveholders wrote enslaved Africans out of history, inscribing the emerging contributions of varied American regions into the archives as if Africans were virtually absent. The ambition of contemporary cultural historians is to write against this erasure, showing the historical contributions and perspectives of enslaved Africans. The southeast coast of United States is a particularly exciting place for this task. Enslaved Africans were able to form large communities in the coastal southeast. European American settlers retreated from the malaria that spread from parasites brought from Africa. Although European American slaveholders owned the land and controlled its use, due to the absence of large communities of European Americans, Africans were in more important roles, as farm supervisors, landscape engineers, and community leaders than in other areas of the United States. The cultural worlds of slaves in this area, then, are particularly vivid and impressive. But documents cannot be our only source of evidence for understanding these worlds. We need many sources. "From the last week in May until the first week in November it was considered deadly for an Anglo-Saxon to breathe the night air on a rice plantation; the fatal high bilious fever of the past was regarded as a certain consequence, while the African and his descendants were immune. Hence every rice planter had a summer home either in the mountains, or on the seashore, or in the belt of pine woods a few miles from the river, where perfect health was found." Picture the floor of the First African Baptist Church in Savannah, Georgia. 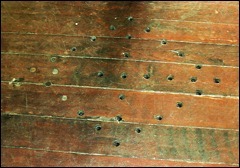 Small holes have been carved in its wide boards; together they form an intricate aesthetic pattern. It turns out that the pattern is a Congolese spiritual design. Contemporary church officials suggest that the floor’s design was created by enslaved parishioners. Perhaps the pattern was both a source of delight and a signal. Furthermore, the holes served more than aesthetic and communicative purposes. 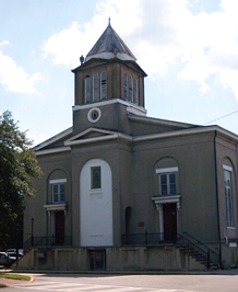 Escaped slaves, reportedly, were able to hide under the floor of the church; the holes allowed them air and light. Standing on a marshy bank by the side of a water channel, at first there appears nothing but tall grass of little consequence. The view is picturesque, but is there something of history here? 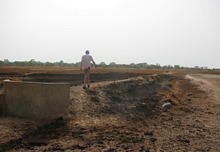 To geographer Judith Carney, experienced from her research among rice cultivators in The Gambia and Senegal, this site itself is a text from which we can see history being made.4 Carney looks out from the bank and sees the same, distinctive forms of rice cultivation and water management in the coastal regions of South Carolina and Georgia as she saw in West Africa. 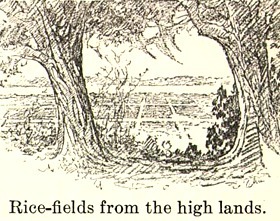 In Georgia and South Carolina, land was worked for over a century by enslaved Africans, who, Carney argues, brought with them their knowledge of rice cultivation. Their British American masters had little knowledge of how to grow rice; they depended on their slaves to transform the landscape to make rice cultivation possible. Africans used the knowledge they brought from Africa to dig irrigation canals, build dykes and water gates, and design drainage and salt-water exclusion. A number of features of the engineering are distinctively West African. The rice crop slaves of the “rice coast” made possible was so successful that South Carolina became, for a period, the most affluent region in the United States. Carney uses multiple forms of evidence to bring this story to life, moving back and forth between the evidence of material forms and the evidence of documents. Most distinctively, she reads the landscape itself to generate a sense of the past. by Elizabeth Waties Allston Pringle (1914). Language provides a lens for considering more than just words. How might have enslaved Africans used these words, and how did so many languages get mixed together? Slavery, which separated families and communities and mixed Africans from many areas, broke down the ability of individual Africans to use their own languages. Instead, newly arrived Africans learned to communicate in a “pidgin,” a simplified system of communication that takes words from many languages. Over time, such pidgins became richer, fuller, and more stable means for communication. Linguists call languages that have developed from such multilingual contact “creoles.” The creole languages that developed from slavery have been an important linguistic resource across the Americas. In the United States, such creoles continue to inform American English. New, hybrid languages emerged from slavery; so too did new, hybrid cultures. African American culture began to form as soon as Africans came to the United States. Its resources included the cultural heritage of many African areas. It also built from what was possible for Africans in the United States. In areas such as the southeast coast, where Africans were gathered in large communities with few European Americans, African American languages, religions, and craft, music, and livelihood practices were quick to develop, using the rich and varied resources of many African areas. The “African” qualities of the managed land-and-waterscapes, religious praise houses, and creole songs and stories of the Gullah people of the Sea Islands are a testimony to the wealth of such cultural development. In other areas, where slaves were scattered among large European American communities, African American cultures reworked European cultural legacies into less recognizably “African” but equally creative motifs. As historians learn to use new forms of evidence, we also learn new ways to reconstruct the social and cultural worlds of the past. African Americans of the past speak to our times as we assemble not just the many forms of evidence they have left us but also their creative endeavors to forge new systems of sociality and meaning despite the terrors of slavery. (1) Reading clues: Students may want to become “detectives” gathering clues about the histories of their ancestors and neighbors. First, you may want to discuss how historians have used fragmented clues to study the past. Consider the examples above. How did linguist Patricia Jones-Jackson look for clues in language? How did geographer Judith Carney use the landscape itself as a set of clues to understand the past? You might invite your students to interpret the landscape of Green Hill plantation in Virginia through the photos available in the National Humanities Center toolbox The Making of African American Identity, Vol. I: 1500-1865. Second, you may want to propose student projects to try this themselves. Two models come to mind. You could bring some fragments of a past social world (photos, everyday tools, items of clothing, religious paraphernalia) into class and ask students to imagine what those fragments might mean. Alternatively, you might ask the students to gather some evidence themselves. Students might work in teams, each of which could focus on a particular social and cultural community from a particular period. Some of the students could collect objects that relate to this community. Some might also interview an elderly person from that community. Each student should keep a record of the process of discovery, a “field journal” detailing what clues were discovered, and, in the case of an interview, what the process of selecting the person, getting permission, and talking to the person was like. What issues came up in the process itself? How are they putting clues together? The team could organize a poster presenting the social world of that community, in the period of time they have chosen, and the clues they used to learn about it. Or the team might create a 5-minute i-movie to present the project. (2) Learning to honor the cultural and regional diversity of the past: Africans were just one group to arrive in the United States without the opportunity to document their own histories. Consider other subaltern groups and what kinds of cultural artifacts might generate a sense of the importance of their cultures. Not all these groups are organized around ethnicity or race; one might consider the histories of children or refugees, for example. How might an historical account generated from non-written sources tell a story? Students might use the case of African American culture in the southeast coast of the United States to discuss the role of U.S. cultural and regional diversity more generally. What specific conditions allowed the southeast coast to develop such a rich African heritage? How might Africans in other areas have contributed to regional cultures and histories? Students might consider their home area: What kinds of cultural heritage are gathered together there? What specific features of the history of their area shaped the form of the mix? “The African Antecedents of Uncle Ben in U.S. Rice History” (2003) by Judith Carney will give you the opportunity to hook your students into this topic through the advertising icon “Uncle Ben,” whose smiling face may very well peer at them from their cupboard shelves. Carney’s essay, a distillation of the argument she makes in her book Black Rice, illustrates the significance of rice cultivation as a skill that traveled with enslaved people from Africa. The piece will bring nuance and complexity to what students generally learn about slavery. The Birth of African American Culture (1992) by Sidney Mintz and Richard Price is a classic work on the topic of cultural retentions and continuity. It integrates the concept of culture into history and demonstrates how it is a dynamic force in the lives of African Americans and not merely something confined to museums. 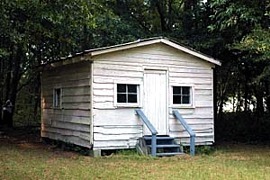 You can illustrate points made by Mintz and Price by assigning your students essays from Sea Island Roots: African Presence in the Carolinas and Georgia (1991) edited by Mary Arnold Twining and Keith E. Baird. Written in an accessible style, this collection is valuable to general readers as well as scholars. It demonstrates how folkways and various cultural practices reinforce a sense of a group’ collective identity. Many of the essays raise important examples of things that people pull together as evidence of cultural transmission. 1 Clifford Geertz, "Thick Description," in Interpretation of Cultures (New York: Basic Books, 1977), 3-30. 2 Raymond Williams, Keywords, revised edition (New York: Oxford University Press, 1983), 87-93. 3 Patricia Samford, "The Archaeology of African-American Slavery and Material Culture," William and Mary Quarterly, 53.1 (1996): 87-114. 4 Judith A. Carney, Black Rice: The African Origins of Rice Cultivation in the Americas (Cambridge, MA: Harvard University Press, 2002). 5 Patricia Jones-Jackson, When Roots Die: Endangered Traditions on the Sea Islands Athens (GA: University of Georgia Press, 1987). 6 Sidney W. Mintz and Richard Price, Birth of African American Culture: An Anthropological Perspective (Boston: Beacon Press, 1992 ). Paulla A. Ebron, a Fellow of the National Humanities Center, is an associate professor of anthropology at Stanford University. Her research explores relationships between African and African American cultures. She is the author of Performing Africa, a work based on her research in The Gambia that traces the significance of West African praise-singers in transnational encounters. She is currently studying tropicality and regionalism as they link West Africa and the U.S. Georgia Sea Islands in a dialogue about landscape, memory, and political uplift.